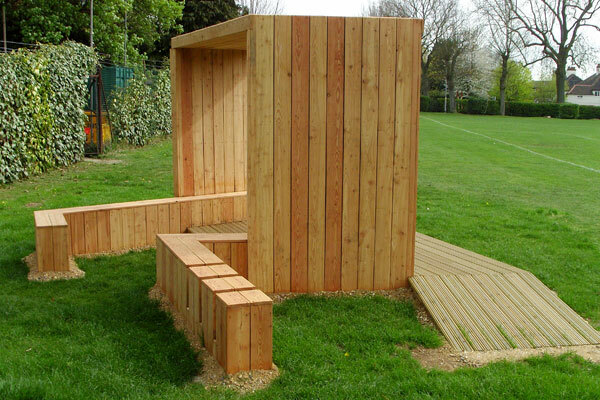 The Hertsmere Community Spaces, youth shelter has opened at Philimore Recreation Ground, Radlett. 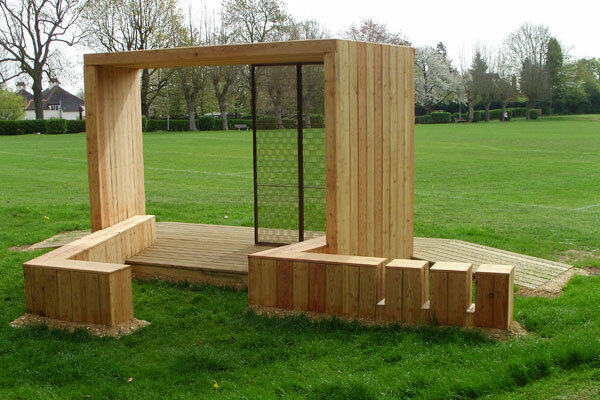 This permanent new structure is designed to provide a variety of seating areas inside and out, a place to rest your bike and an open stage space facing the park. 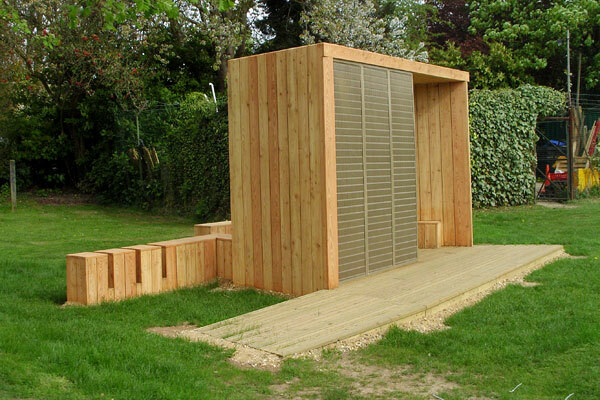 The Shelter has a robust steel sub-structure and is clad with a larch wood, which will age to a silver grey. 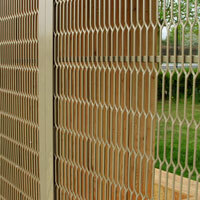 A mesh screen sits at the front powder coated in gold to shade from the sun and provide a stage curtain for the stage. The fantastic fabrication was carried out by Mark Cosgrove Associates at The Scenery Shop. The shelter is positioned close to the existing park facilities and area of existing high foot traffic. Many people already gather and use the existing bench on thie site and the shelter adds to these facilities. The space is close to the carpark and away from houses on the periphery of the recreation ground.